Grade 5-8-Claire Lyons moves with her parents from Florida to wealthy Westchester County, NY. Until they can get settled, the family stays in the guesthouse of Mr. Lyons's college buddy, who happens to have a daughter who is also in seventh grade. Expected to welcome her, Massie instead chooses to make Claire's life miserable for no other reason than she's the new girl. 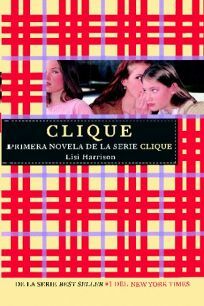 Massie enlists her clique of friends at Octavian Country Day School, all part of the beautiful and popular crowd, to help with the harassment, which ranges from catty comments on Claire's clothes to spilling red paint on her white jeans in a conspicuous spot. Tired of it all, Claire tries to fight back, but then the abuse worsens. The book has trendy references kids will love, including Starbucks in the school, designer clothes, and Palm Pilots for list making. However, this trendiness doesn't make up for the shallowness of the characters or the one-dimensional plot. Nor is the cruelty of the clique redeemed with any sort of a satisfying ending. Amy Goldman Koss's The Girls (Dial, 2000) shows the same cruelty of girls with a more realistic story and resolution. [Despite an untranslatable title, the text of this Spanish translation flows well, and does a good job of transmitting the meaning of the original.-Ed.] School Library Journal.